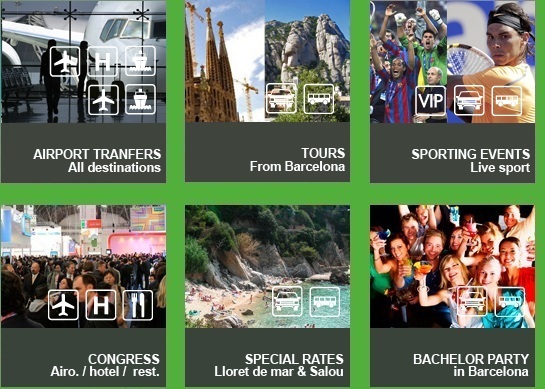 Book The Transfer Here ! 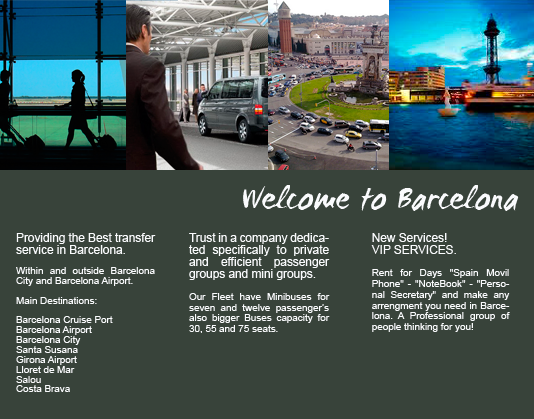 *Reference rates to / from - Barcelona Airport / Barcelona City. 2013. Save time and money if you are more than 3 passengers. You will never know the final rates on Taxi´s. Our divers and transports have all the legal insurance. Comfortable Buses for each different group. Comfortable Buses for each different groups.